This was the 11th year Village Aid Project (VAP) at Fort Lewis College had designed and implemented water and sanitation projects abroad. To those who have not heard of the organization; here is a quick synopsis of the program. VAP at Fort Lewis College is a student-centered, humanitarian organization whose mission is to partner with needy communities in the developing world to find sustainable solutions to their critical engineering problems. In addition, we are training a new generation of students who understand the need for sustainable systems and who value the concept of responsible global citizenship. Currently, VAP has worked in 5 different countries and has implemented projects in 24 different communities throughout the world. This last month VAP traveled to Nicaragua to implement a water project in a village right along the border of Honduras, and build 30 latrines in three villages we had worked in previously. Also, a group traveled to Myanmar to implement a water project in a village that also works closely with the Shanta Foundation of Durango. All trips went smoothly, but had their fare share of adventure along the way. In Myanmar, the group arrived to a village with a dried up water source. Troubles began with trying to design a system in village that would integrate another more un-known source with the source that had gone dry weeks prior. The group succeeded, and the village of Nong Boat has a nice new water system to call their own. On the other side of the world, the other two Fort Lewis crews were solving their own problems. In Nicaragua, the water system team worked on the border of Honduras along side locals and armed infantry in the village of La Ceiba. La Ceiba is located in an area with many large hills, which made the system more difficult, however the system was badly needed for this community. The crews dug trench, laid pipe, and hoped they would finish the project before the water well in the village went dry. In the end, the crew and villagers did finish the job, and even had time to play a friendly match of futbol with the neighboring village in Honduras. About 5 miles away from La Ceiba, in a neighboring valley, was the other VAP group. This other group was separated into three communities that VAP had built water systems for prier. The group was implementing a new latrine design. 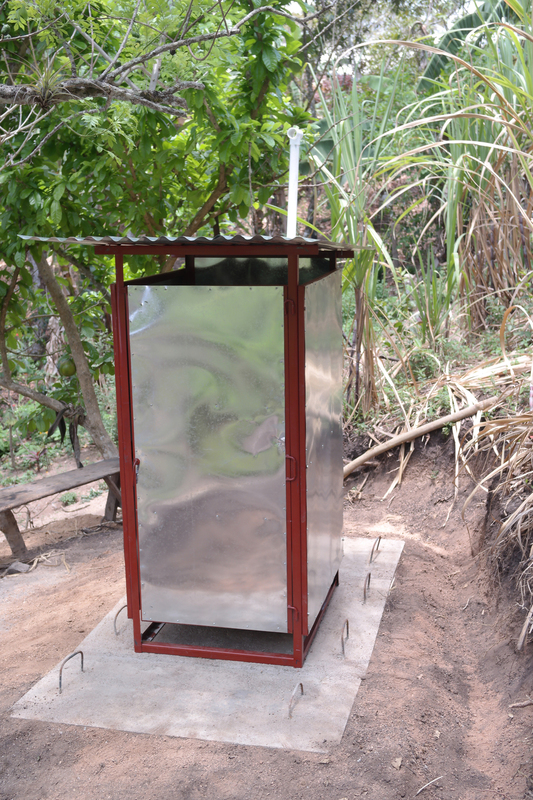 In total, 30 latrines were built and 60 more are planned for next year. This project, along with building latrines, gave us insight on the previous water systems. It was found that sickness and diarrhea in the villages was dropping noticeably. Also it was apparent that having readily available water in these villages was greatly needed. Thanks Pine Needle for helping us out this last project, with your generous donation we were also fortunate enough to have convenient water on tap!